Good evening, the school have approached the club requesting if we could repeat the successful event provided by members in the past. 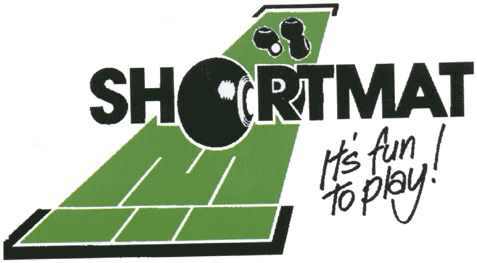 This being teaching the pupils Short Mat Bowls. This would be for Friday 6th July 2018. If you can assist, can you please let Jill know as soon as possible. Good evening just to make you aware, the club is closed on Thursday this week. Open again Tuesday 3rd July. Good evening. Please note that the Club Info page has been amended to ‘Club Info & Downloads’ This enables members to download and print if required information provided by the club secretary. New information regarding the recent changes to the General Data Protection Regulations (GDPR) and how members information is used by the club can be found on the page. Click here to see the information. SANGUINE SMBC are looking to run a Sunday evening three wood triples league. They are looking for 6 teams to show interest. The competition will run over 5 weeks before the final. Cost per evening is £3 coffee and biscuits included. No dates known at this stage, please see the notice board or email Tony Hayes acerhayes@gmail.com to express your interest and for any questions. Friends of Essex still have spaces for more teams for the charity event below. If you haven’t played or been to Falcon before, superb venue, great tasty food, usually available, and a bar, plenty of car parking. The days are well organised. An open fours charity event will be held at Falcon on Sunday 12th August 2018. The cost will be £24 per team, all proceeds go to The British Heart Foundation. Willows have this week enjoyed both the warm welcome and hospitality and enjoyable evening of bowls when visiting Canvey FC SMBC for the friendly on Monday. Another friendly this evening, Thursday 7th June, away to Sanquine SMBC, always a pleasure visiting Sanquine. Good luck to members who are playing Sunday 10th June at Falcon v Norfolk organised by Friends of Essex. If your not already aware, can members when arriving at the school on club nights, please ensure not to arrive any earlier than 7pm. If the gates are open, please park up but do not enter the school until 7pm. If the gate is closed, please do not press the buzzer before 7pm. Whatever you are doing this weekend, bowls, mowing the lawn etc. have a great weekend. I tried to visit the house where the guy who invented toothpaste was born. Sadly, there was no plaque on it.